Leading Justice is offering limited advertising and virtual secretarial services for mass tort law firms pursuing an increased case docket of GM ignition switch recall and GM airbag recall claims. With more than 15 years of experience helping people wronged by major corporations, and the staying power of an honest, 100% fraudulent-free business history, Leading Justice has the transparency in advertising to be your partner in building a large GM recall docket. 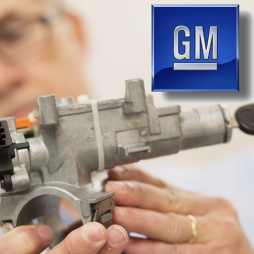 Leading Justice will create and place GM ignition switch recall media for your buy, screen all GM recall contacts according to your specific case criteria, and single sign the client's claim to your retainer/medical release using the most rigorous security industry certification standards. 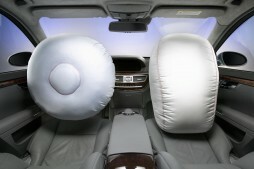 We will then send the signed GM recall claim to your intake team for the final screen and medical record retrieval. If your firm is interested in pursuing claims associated with the General Motors vehicle recall, Leading Justice can build your docket via our effective advertising and virtual secretarial services. Law firms partnered with Leading Justice know they are working with an honest, transparent advertising shop that will help build their GM recall docket with best marketing practices and bar opinions in mind. 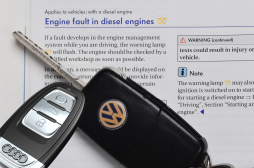 Leading Justice is offering limited Volkswagen emissions recall advertising and virtual secretarial services for law firms pursuing an increased docket for loss of vehicle value, decreased performance, increased eco-footprint and other damages related to the Volkswagen and Audi emissions scandal. With more than 15 years of experience helping people wronged by deceptive corporations, and the staying power of an honest, 100% fraudulent-free business history, Leading Justice has the transparency in advertising to be your full-service partner in building a large Volkswagen emissions docket. Leading Justice will create and place Volkswagen emissions media for your buy, screen all emissions-related contacts according to your qualifying case criteria, single sign the client's claim to your retainer using the most rigorous security industry certification standards, and send the signed Volkswagen emissions claim to your intake team for the final screen. If your firm is interested in pursuing claims associated with the Volkswagen emissions recall and damages like loss of car value, Leading Justice can help build your docket via our effective advertising and virtual secretarial services. Law firms working with Leading Justice can feel confident that they are working with an honest, transparent advertising shop that will build a strong Volkswagen emissions docket, keeping in mind the best marketing practices and bar opinions.